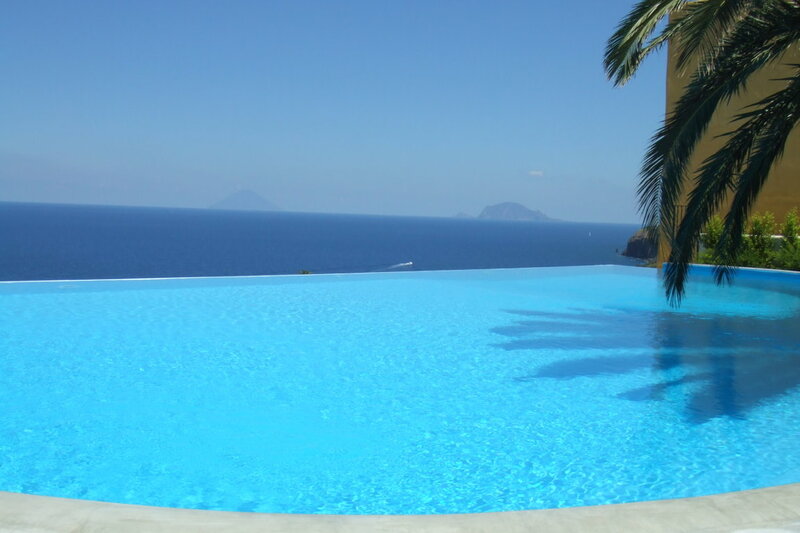 The core of the Hotel Ravesiis the beautiful and large infinity pool: the water, flowing down the edge, gives the optical effect of swimming in atank without borders and the pool seems to merge with the sky and the sea. It is like a wonderful dream to get lost among thousands of shades of light blue and blue of the water and follow the vibrant shimmering of the sun that is reflected in it. A prosperous palm is the entrance to the infinity pool its characteristic curvilinear shape; just few steps to access about 60 square mt pool with increasing depth and find yourself in a dimension of absolute relaxation and well-being. 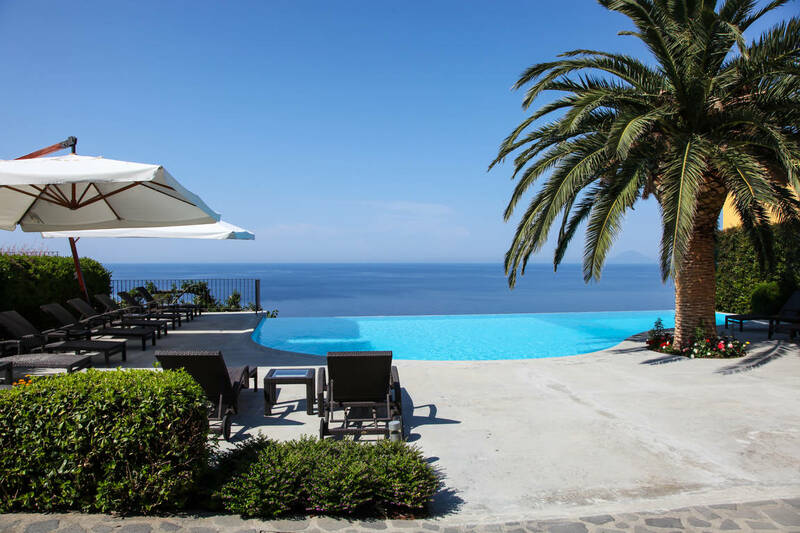 From here you will enjoy a spectacular view of the islands of Panarea and Stromboli that dominate the horizon; you can relax in the solarium reading a book or sip a cocktail in the shade of the garden. 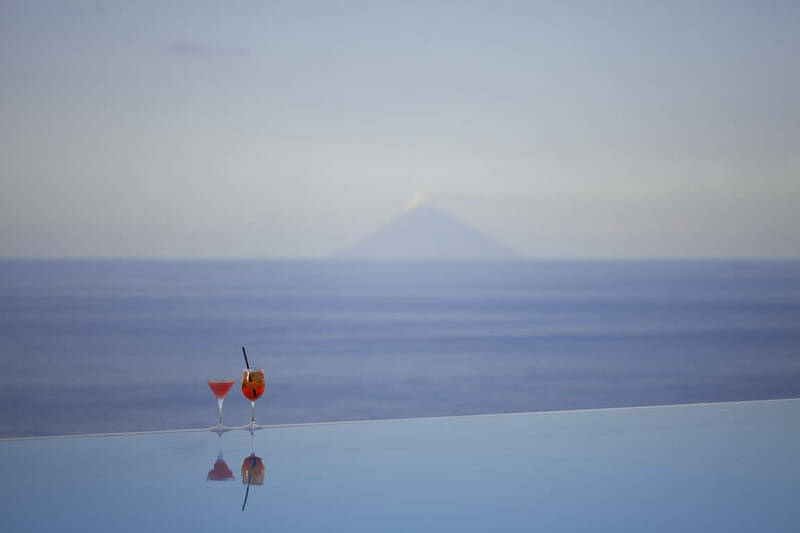 After sunset, the pool becomes a perfect set for your romantic evenings;the bar of the Hotel Ravesi organizes aperitifs, buffet and light lunches by the pool, renowned throughout the island. Fun, leisure, relaxation with infinity view. Refined simplicity, in perfect Ravesi style. 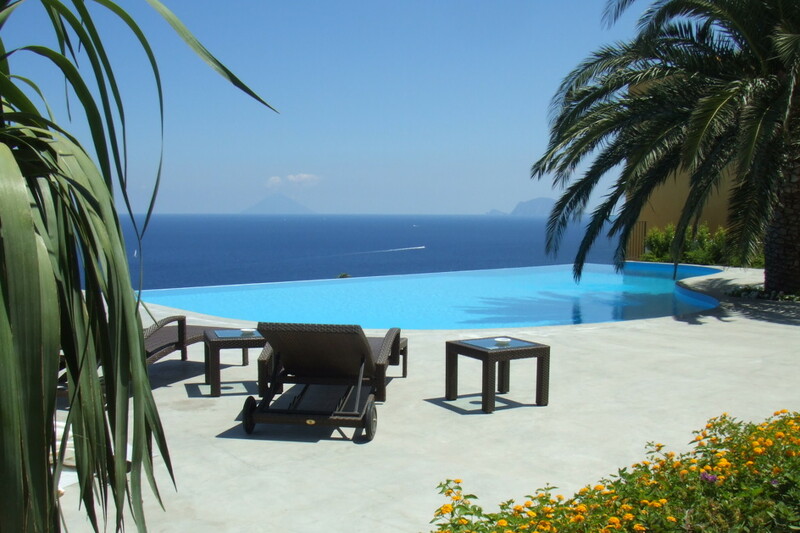 Use of the swimming pool, as well as of sunbeds, for the hotel guests is included in the room services. Strength and beauty, is what evokes the prosperous palm located by the pool, which contains a family story that deserves to be told: a new tree, in fact, is planted in the occasion of the birth of every girl in the Ravesi family. The plant is a perfect symbol to celebrate the arrival of new life and of new energy, but also a wish for strength and healthy growth; a way to rememberthe origins through time, to mark the personal and family history and to give the sense of time that passes; next to water, another absolute symbol of life and regeneration. Hotel Ravesi is foremost all this: history, family, heart.